In the last month we have been taking things easy as Nick has been taking a math course which has severely limited our ability to go away. Not to bother though, in August we are headed to London, England and Interlaken, Switzerland. In September we are headed to Italy, for our first anniversary, to see the sights of Rome, Venice and Florence! Word on the street is that Belgium beer is infinitely better than German beer. Apparently you are either a German beer lover or a Belgian beer lover, and this had to be tested. Despite not being a beer drinker myself, I was keen to get out of the house. So, we decided, we’d head to Belgium for a supermarket trip. 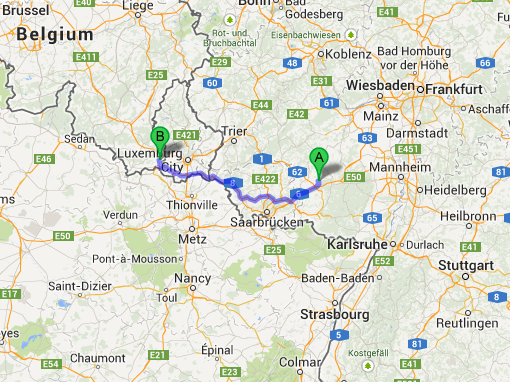 The drive was about 1 ½ hours, so not too far from home, and pretty much right over the border of Luxembourg. We would go there again to stock up if need be, as the drive wasn’t too tolling. The supermarket itself was massive, as all Cora’s appear to be. 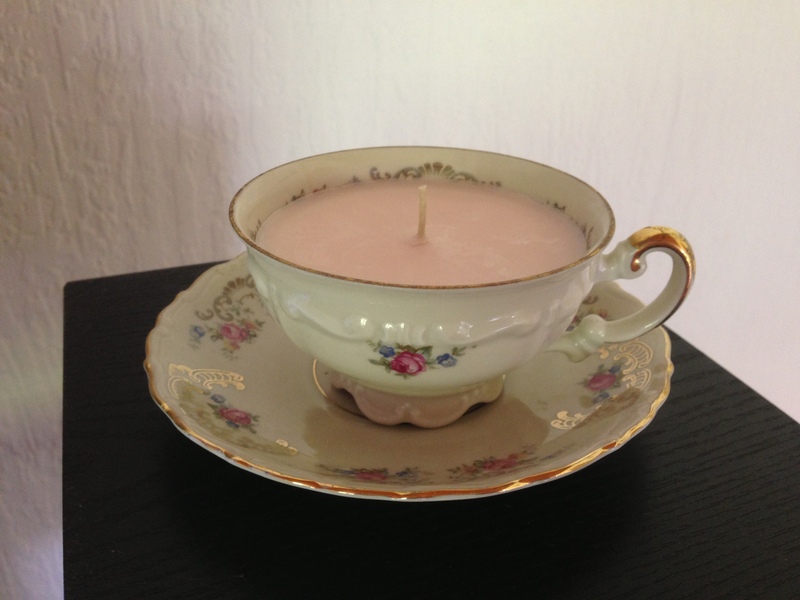 This one was called Cora, Messancy. It appeared to be in a little ghetto area of a territory that was part Luxembourgish/part Belgian? We kept going back and forward between the two countries on the way. Either way, the locals were often fun sights, and we got to be there when all the grannies were there, we knew we had hit the jackpot! (Because everyone knows that generally people 80+ only go to the supermarket when it’s quiet). We found a ton of delicacies. 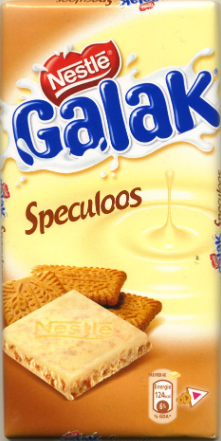 For instance, Speculoos milky way!? We did buy the entire amount that was left, but it was a delicious treat. Speculoos ice cream? Yes please, even if it will melt on the way home. My mouth is actually salivating as I write this, oh the memories. €100 later and we came home with an insane amount of beer, chocolate, ice cream and grocery necessities. Needless to say, I am now on a diet. The verdict? Well Nick will have to give his take on that one eventually, but he seems to have found his favourite in the Trappist. More to come. In February, I treated Nick to tickets to the German Grand Prix, as I knew by that stage that we would definitely be in Germany. It was extremely difficult picking out the tickets as I couldn’t ask him for help, and being a racing maniac as he is, I didn’t want to make a mistake. My theory was to just go with tickets in the stadium, and in the end that seemed to work out pretty well. We left around 9am and didn’t hit traffic until about 10km out of the track. The traffic hold up was because of parking, but Polizei were there to help direct people and were doing a great job. When we hit a stau (cars weren’t moving) all the locals liked to get out of their cars, eat, have a wee (ew – men), chat, have a cigarette. It’s all quite social. I made Nick get out of the car and back our backpack so we would blend in like the locals. Stealth. The stadium was a little confusing, and after a mini-stress-fight, we managed to find our seats. We had gone to the supermarket and packed up a bag full of cookies, Pringles, Coca-Cola’s etc. so that we wouldn’t have to buy any food. We had no idea if our bag would be checked, but guess what? It wasn’t! Hurrah, we saved a ton of money by snacking away on our own food rather than buying at the stadium. We made it in time for a Porsche race, which was fun to watch. Those cars were awesome, and not as noisy. I only had to wear ear buds with them, whereas the F1 cars required Nick’s airplane air muffs. I didn’t think I’d enjoy car racing, I thought it’d be boring, but it was actually really entertaining. The Porsche race was only ½ an hour long, and the F1 race was 2 hours. It turns out you are so busy waiting for them to come around again that the time just flies by. The event itself is so exciting too that it is hard not to get wrapped in all the glamour behind it. Our positioning was great. We could see the top part of the pit, but we could also see the home straight and the first corner, which is where the first accident happened. The stadium was called ‘T4’ and we ended up in Row Q if anyone is interested for the next race there. The thing that disappointed me is that by being up in T4, people didn’t really have the excitement that I expected. In other words, people were there to be seen (or say they had been there) rather than enjoy the race. Next time, we will probably go in the cheap seats and actually get some race atmosphere! On the other hand, the facilities were excellent, so that’s the trade off. We also had the benefit that we were second from the bottom row, and for whatever reason, the people in the front row all never turned up (the race was sold out). We had an uninterrupted view which was amazing! I was rooting for Sebastian Vettel, as I like his name, and he was racing on his home circuit. He won! Yay Seb! It was a quiet Saturday this last weekend, and we had no plans. I was keen to go and check out this store I’d heard about called ‘Primark’, so we headed down to Saarbrücken to go and check it out. There’s also a huge mall there called Europa Gallerie, so we decided to make a morning of it. I know, what has my life become? But seriously, I did not know about the flea market and I was so excited seeing it. It was so long, there was so much to see! We parked up and headed across for the flea market extravaganza. On one side of the river was a bike flea market, where owners take their bike, leave it there and then you can look at the mall and buy them. It looked pretty cool, I saw some really great bikes for around €30-40. 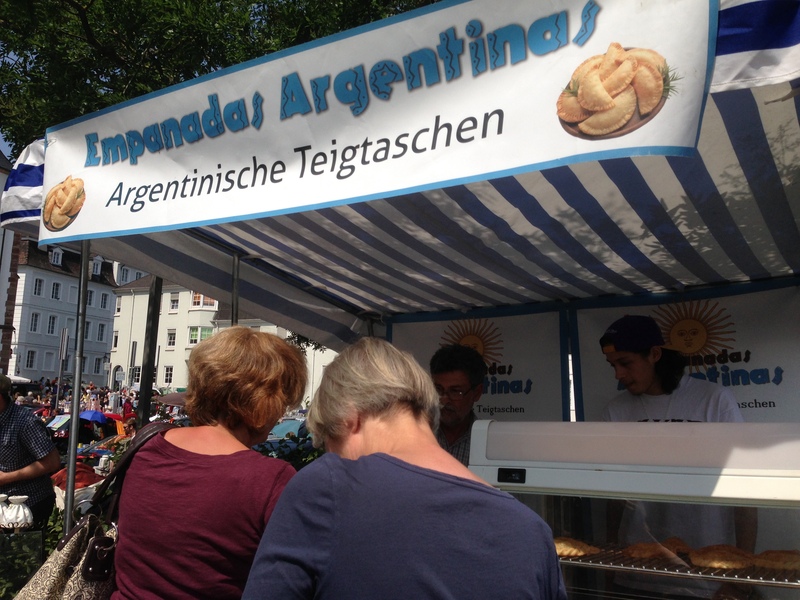 We wandered through and found Argentinian Empandas! We couldn’t resist, and I had to reallocate my allowable calories for the day, but it was worth it. We tried a chicken one and a spinach one and both were great, but the chicken one definitely edged out the spinach one. While on the teacup hunt, I also found a cute little brown bag with gold accents. I got it for €10. Bargain, as I’d been searching for a plain brown bag for more than six months and just happened to find this one at a random German market! We then headed to Primark and the mall, which were both good. Primark is extremely low priced clothes and a small amount of home wares. I got a few costume jewellery pieces and a couple of things for the house. The mall was extremely large and had a lot in it, so we will definitely be back for clothes etc. Saarbrücken itself was a sweet city, with pretty areas near the river. There were German and French flags waving, which represents the history of this area of Germany. I remembered learning about it in high school history classes, as this is part of the area that also went back and forth between the Germans and French for centuries, just like the area of France that we visited when we went to the supermarket. At one point I turned to Nick and said ‘umm.. oh wait, doesn’t matter’ as I was going to say to him that I didn’t know how to communicate with stall owners in French! The area definitely fooled me, and has similar architecture to Luxembourg, meaning the French influence is still strong. We also noticed that at the market there were a lot of French & Luxembourgish speakers, and a lot of young people, so perhaps it’s the place to be! FLOH MARKET ACROSS THE RIVER! And now for the boring part. Every day life stories. Early in the month I went strawberry picking with my new friend, Melannie. 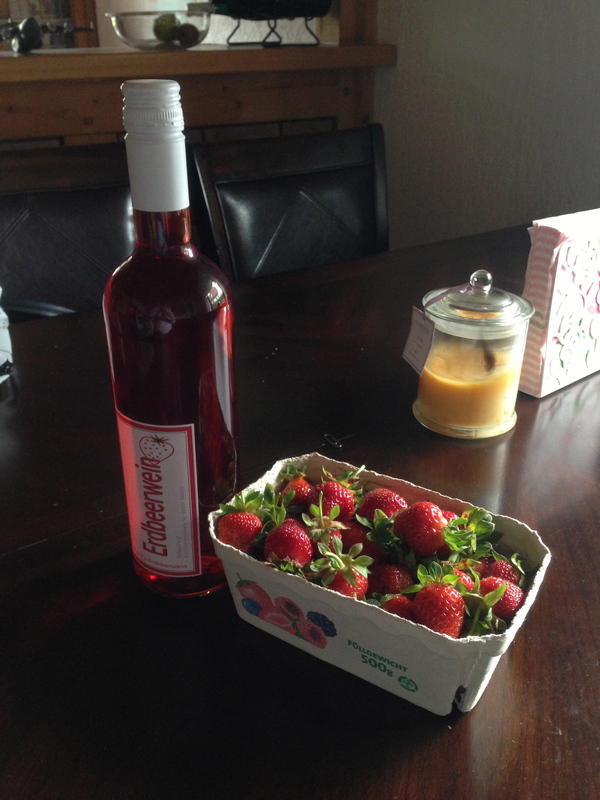 We each picked a cardboard carton each of strawberries and purchased some DELICIOUS strawberry wine. It was so sweet and tasty! The best part about the strawberry picking was getting to eat all of the strawberries that you wanted while you were out picking the berries. Nick was kind of grossed out finding out that I ate strawberries without washing them, but I’m here to tell the tale. 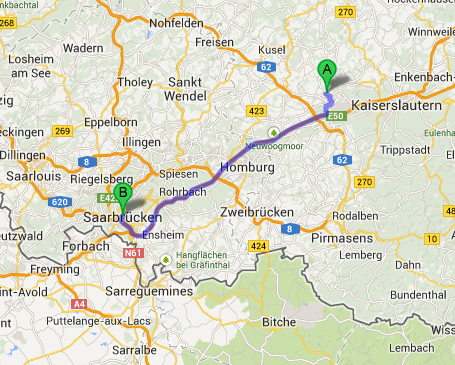 Another funny German experience is that parcels get delivered to your neighbours. We actually had our neighbour’s entire suitcase delivered to us, even though we had never met him. We had been enjoying a tasty beverage or two and decided we would leave a note for him on his door…. on cat paper. I had a good laugh with him about it when he came to pick up his suitcase the next morning, and he seems like a nice American.